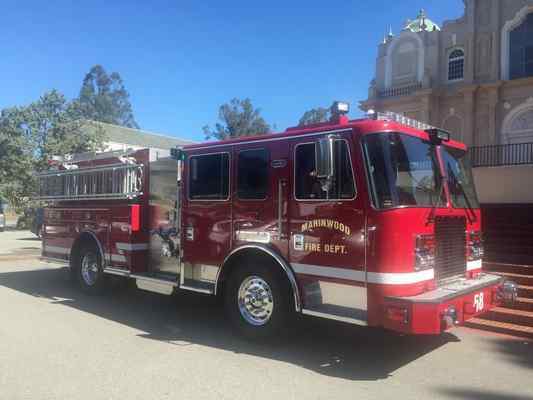 Save Marinwood-Lucas Valley - our community, our future: Letter to Marin IJ "Marinwood Fire needs to merge with other agency"
Letter to Marin IJ "Marinwood Fire needs to merge with other agency"
Marinwood Fire Department should be merged with another agency, period. We pay way too much for too little fire service. Each month our Marinwood firefighters are responding to emergency calls in San Rafael, and Marinwood taxpayers are footing the bill. We are essentially a substation for San Rafael but get paid nothing in return for 50 to 66 percent of all emergency service calls. A better solution for all parties, most especially the firefighters themselves, is to merge Marinwood Fire with a larger agency or convert to a semi-volunteer department. A merger with San Rafael would create better career opportunities for firefighters; San Rafael will have more resources to deploy and Marinwood could concentrate its limited resources to parks, open space and recreation. Why not contract our fire service just like we do with county sheriff for policing services? The new agency can stay in our fire station and keep the same staff. Just change the lettering on the fire truck and hardly anyone will notice the difference.